Welcome horror fans, to Day 11 of the 31 DAYS OF HORROR! We are back in our lead up to Halloween with a really fun take on the horror genre, the Halloween night anthology film... TRICK ’R TREAT. Enjoy! 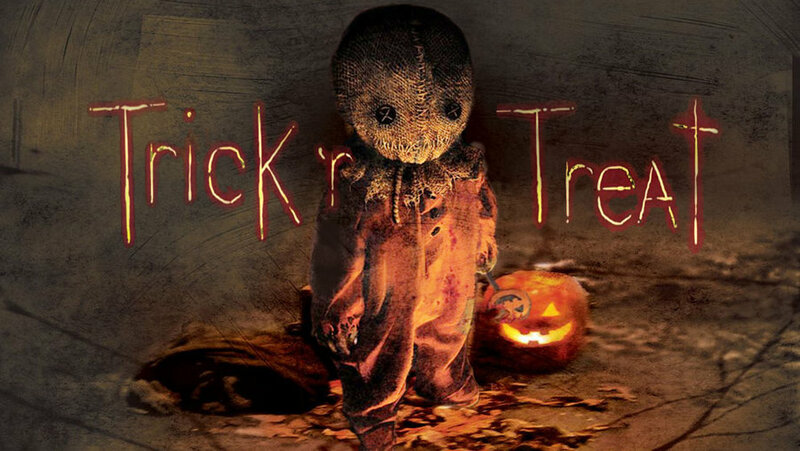 Trick ’R Treat is a horror anthology story written and directed by Michael Dougherty (writer of several X-Men films and writer/director of the 2015 horror film Krampus) that tells four independent stories that take place on Halloween night. The film stars Dylan Baker, Rochelle Aytes, Lauren Lee Smith, Leslie Bibb, Anna Paquin, and Brian Cox. This film got its first public screening in December of 2007 and had screenings at many festivals and events over the two subsequent years until it made its way to home video in October of 2009. The fact this never saw theaters, and is thus overlooked by many, is a genuine shame as it is a really entertaining film that does everything a positive spirited interesting horror film needs to do. Dougherty’s writing and direction really make this film what it is. It is incredibly well put together and the fact that all of the stories have threads that reveal something that comes up in another story is really wonderful to see and the fact that the story operates in ways that jumps backwards and forwards sensibly and to great effect shows a great deal of proficiency in editing and written structure. Often in anthologies one or more of the stories fails to land or be interesting but that isn’t true in Trick ’R Treat. All of the stories have their own degree of intrigue and all of them function to great effect to keep the audience engaged throughout. My personal favorite story was the one with the kids and the quarry. There is a brilliant flashback to a scene on a bus that is brilliantly crafted and really eerie. Overall that scene works in its entirety really well. My second favorite has to be with Kreeg (Cox) and his experience in his house. This is another extremely well done story that ties together a number of things to great effect. The last really great thing about this film is the style and the use of practical horror effects. This film is styled like a comic book in many ways (and has multiple tie in comics as a result) and the use of that comic styling (coupled with the actual visual aesthetic) really worked and engaged my comic and horror loving mind. It all felt well used and carefully included showing a mastery of a style format that the audience really feels throughout. The film also uses great practical blood and horror effects throughout. Some of it looks really campy (understandably) but its use is refreshing in the horror environment and really well done as a matter of course. It all fit well in the context of this film and enhanced the quality of this film beyond lesser horror offerings. 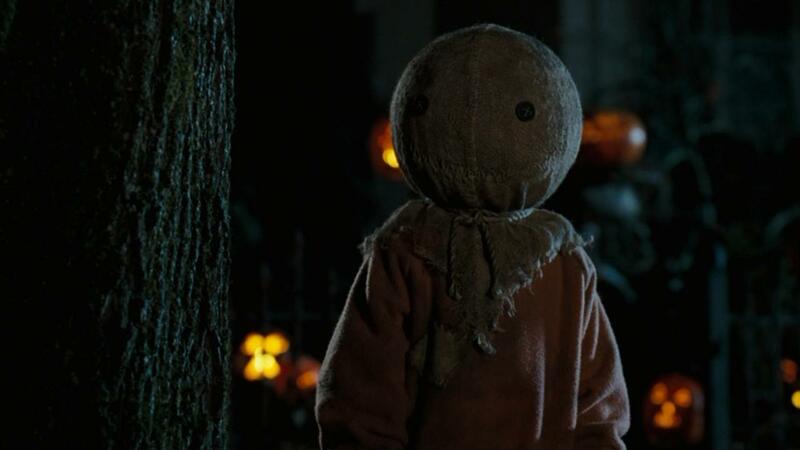 Trick ’R Treat is not without its problems. I did find some of the performances lacking in overall quality. None of these were so bad as to make the film bad, or unwatchable, but did detract from the film. Generally, I thought that Brett Kelly, Moneca Delain, Lauren Lee Smith, and (to a lesser extent) Anna Paquin provided these less well formed performances. I also thought throughout the film that this is for a select audience. People who get and enjoy campy comic-sheen horror will love this film, people who don’t won’t have a good time. I think that the measure that pushes a film from good to great is the extent of the audience it should be able to engage and I don’t think this film would be successful at engaging an audience broadly. Overall, I think this film really works and is an incredibly fun horror film that definitely merits a watch. The fact it didn’t get a theatrical release borders on criminal. The level of greatness in the formation of the anthology stories and setting make this an extremely strong entry even if it is stylistically specific and veers into campier performances and visual elements. I would highly recommend this film to horror fans though because it effectively delivers in that respect and there is a lot of great things to see in this film! Word on the street is that there is a sequel in the works as well which I would welcome with wide open arms. Labels: 31 Days of Horror, Anna Paquin, Anthology, Brian Cox, Dylan Baker, Horror, Lauren Lee Smith, Legendary Pictures, Leslie Bibb, Michael Dougherty, Movie Reviews, Rochelle Aytes, Trick 'r Treat, Warner Bros.